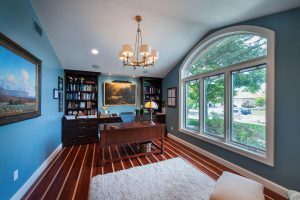 In our last column, we discussed the necessity of creating a realistic budget for a remodeling project and that the design and the budget must be properly aligned. We noted that the budget conversation must begin in the first design meeting and continue throughout the process of both design and construction. Budget constraints are not always a bad thing. Less is more in many cases. Sometimes budget constraints actually make the project better. When there is a budget, it forces the designer and the client to focus on what matters most, what are the highest priorities and creative solutions to address the challenges that arise. Budgeting for a major remodeling project is smart and makes the project run smoothly, making for a better experience. For example, a client may come in with a vision of a massive (and expensive) addition to solve the issues with their house. When it is determined that their budget won’t allow for a big addition, it is time to step back to square one and analyze the existing space in terms of how it currently functions and how it needs to change to support the goals of the family living there. Often their original goals can be met by reconfiguring existing space, with the possible option for a smaller addition (or additions) to create a home in which the family can comfortably live. When you are budgeting, don’t forget the architect’s and engineer’s fees. Some homeowners think budgeting for an architect is out of the question. We might suggest that you can’t afford not to. The bottom line is that planning saves money. Projects that spiral out of control and go way over budget are projects that are not well planned. A competent residential architect has been through both the design and construction phases of hundreds — maybe thousands — of remodeling projects. We would dare say that you are hiring an architect to help you manage the process as much as to provide design expertise. The process of creating a reasonable budget involves more than the homeowner selecting a number that he or she hopes will cover all of their fondest dreams. It really requires the participation of the whole team — homeowner, architect, contractor, structural engineer, etc. If the budget is not well-founded in reality, it is not worth the paper it is written on. Beginning with an itemized estimate created for the proposed master plan, the contractor can change the allowance for each line item into a bid as the process moves from conception to construction. Using this process, surprises will be few and far between, though we always counsel setting aside a contingency based on 5 to 10 percent of the estimated construction cost. Along with a thorough budget to guide you in your selections, this is another measure that will reduce the stress of remodeling. Just as there is no one totally correct design for a remodeling project, there are many ways to achieve the function and style you hope to see in your project. Having a budget gives you the framework to support the many design decisions you will have to make. Adhering faithfully to the allowances set aside for each category shown in the budget will assure that the bottom line will comfortably fall within the cost range determined early in the design process. It also allows you the ability to “splurge” rationally — this process is supposed to be somewhat fun, after all! If you find a refrigerator that you simply must have even though it busts the appliance budget, disciplined economizing in another area, such as flooring, will pull you back in line with the budget total.